It’s a big day at SDSU — new students from across the country are descending upon Montezuma Mesa and moving into the residence halls. Welcome, new Aztecs! 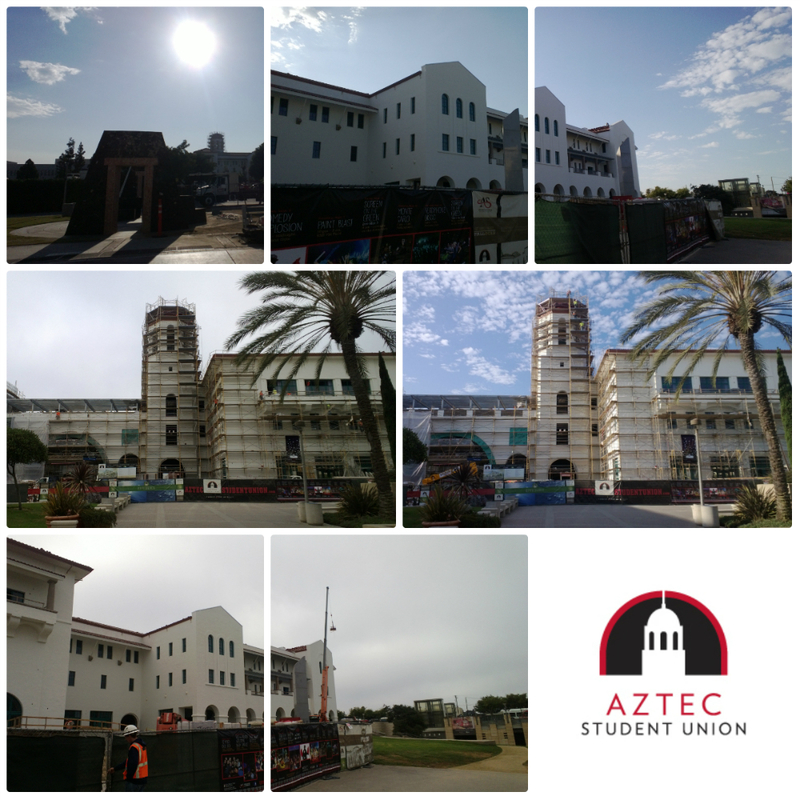 Next week, classes will begin and Aztec Student Union will make its way towards the completion of construction in December. Look for exciting announcements in the coming weeks! In today’s Photo Friday collage, there are photos showing the Union’s north and west facades under cloudy and sunny skies. Crew members are tiling the rooftops and exterior scaffolding is almost down. If you get close enough to the Union, you might also notice that the dome is sporting red and black — just in time for #BacktoSDSU! Interested in the latest Aztec Student Union news? Be sure to “like” the project on Facebook, follow it on Twitter or visit the website. This entry was posted in Construction and tagged photo friday. Bookmark the permalink.